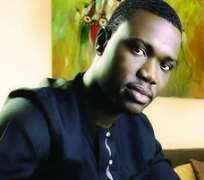 In the spirit of Nigeria's 53rd Independence celebration, Tosin Martins has debuted a new song titled 'Made in Naija' featuring Naeto C.
The 'Olo mi' singer, who has been off the music scene for a while, dedicated his new track to his country Nigeria. The song is produced by Sarz. The lawyer turned musician, from Nigeria's commercial capital city of Lagos, has one album to his credit titled 'Happy Day' which features one of the favorite love songs 'Olo Mi'. His style is simply described as crossover by his teeming fans and followers. His songs cut across R&B, Highlife, Jazz fusion and more traditional and contemporary styles. Martins has won a number of awards notable amongst which is the award for the Best New Act at the 2007 Nigerian Entertainment Awards in New York, USA and Best Crossover song at the Nigerian Gospel Music Achievers Awards in 2006.